Two films based on a Pagnol novel, tell the story of growing up in Provence . A Jewish girl’s story opens wounds from France’s wartime past. Absorbing Palme d’Or winning journey into a multicultural high school in Paris over the course of a school year. Documentary the lives of those who live ‘off the grid’ in France. A rich aristocrat and habitual thrill-seeker, becomes quadriplegic after a paragliding accident. Alone in the world and unable to care for himself in even the most basic ways he employs young Senegalese man as his carer. Drama set in the 1950s which follows a young woman who yearns for more than the humdrum existence she seems destined for. The film starts by telling two parallel stories: one of Ali, a homeless father struggling to care for his five-year-old son, and the other of Stephanie, a woman who loses her legs in an accident. Based on the Francois Mauriac novel set in 1920s France, the film stars Audrey Tautou as the eponymous Therese, a cultured and intelligent woman who enters into an arranged marriage. Initially Therese looks forward to her new life, but it’s not long before she resents her husband’s casual anti-Semitism and deeply ingrained chauvinism. Marcel Carne transposes Zola’s dark tale of ennui and treachery to the post-WWII era. French drama chronicling the relationship between an illegal Kurdish immigrant from Iraq, who plans to swim to Britain from Calais and a French swimming instructor. 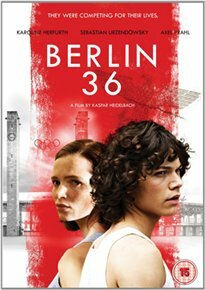 Berlin in 1967, a horrific riot inspires Ulrike Meinhof to join forces with Andreas Baader to fight the West German state.The pair moves from activism into terrorism, as form and lead the revolutionary terrorist organisation Red Army Faction. Set in East Germany in 1980, Barbara is sent to a new job in the provinces as punishment for applying for an exit visa from the GDR. Her aim now is to escape to the West. In the days leading up to the 1936 Olympics, the fate of high jumper Gretel Bergmann hangs in the balanceas it is decided whether or not a Jewish athlete can be part of the German Olympic team. Fassbinder ‘s adaptation of Theodor Fontane’s novel set in the late 19th century. Hanna Schygulla plays Maria Braun, whose material rise parallels Germany’s Economic Miracle of the 1950s. German film adaptation of Eric Kastner’s much loved childres book. Fictionalised portrait of the tumultuous relationship between two 1970s German left-wing political militants: Bernward Vesper ( August Diehl) and Gudrun Ensslin (Lena Lauzemis). Tense drama about a teenage girl who becomes the object of increasingly violent bullying at her new school.